Zippo congratulates the Super Bowl LII Champion Philadelphia Eagles. 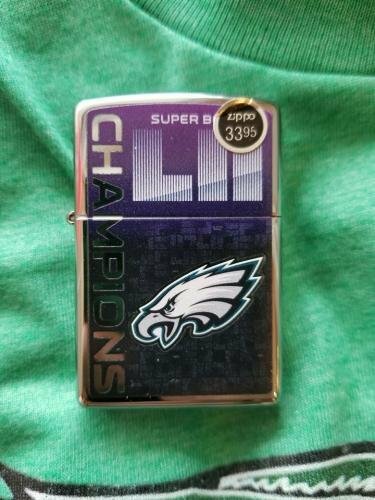 Commemorate their victory with this collectible Super Bowl LII Champion Zippo windproof lighter. Attractively portrayed on a high polish chrome lighter, this color imaged Super Bowl LII Champions design features the Philadelphia Eagles logo and will help you relive their glory for years to come.